Hi friends! 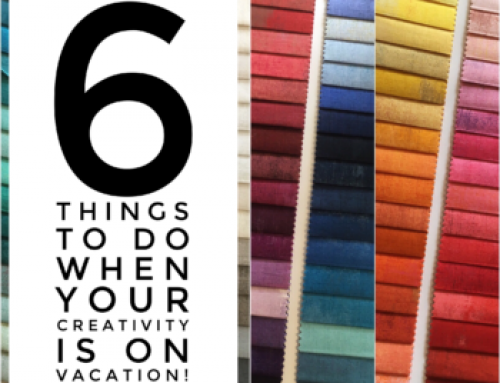 I hope you are excited about this Mini Challenge! 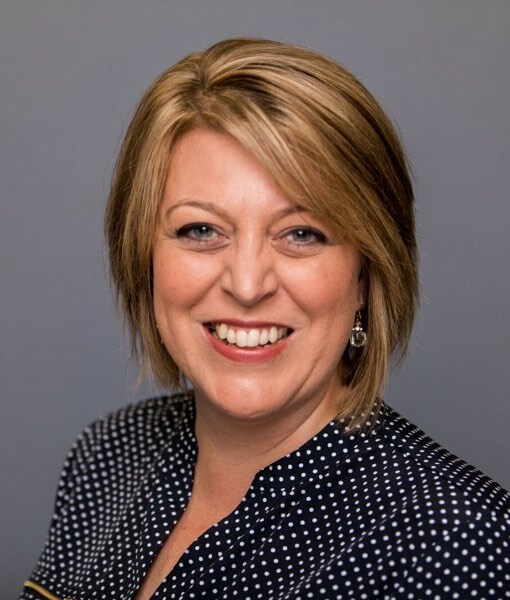 I have some inspiration to share with you, and a few details about the prizes involved – yep, prizes! When I’m planning a mini, I like to push myself to try something new, and have fun in the process, of course. 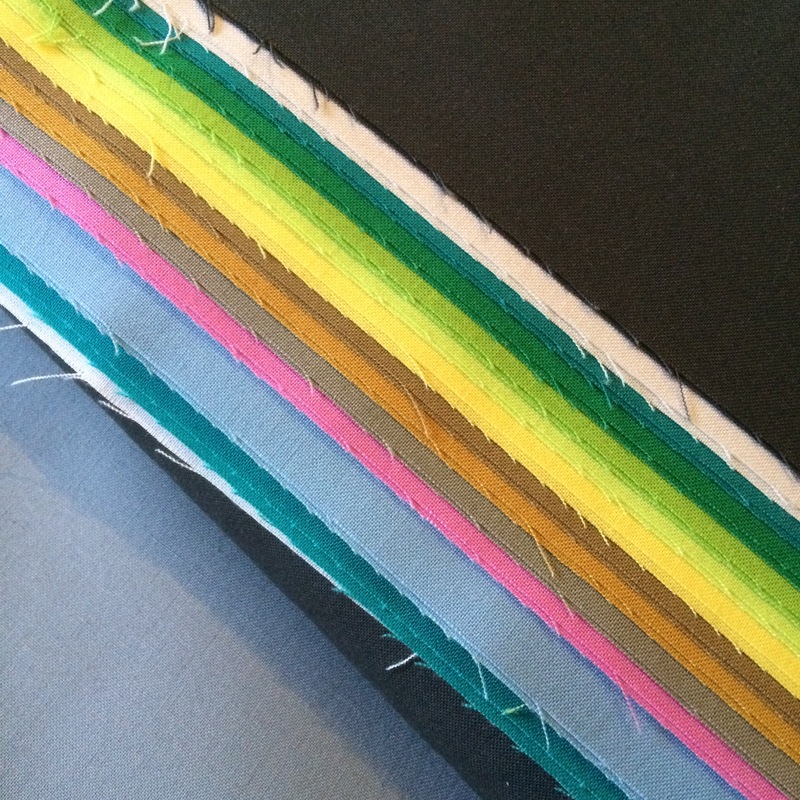 This paper pieced beauty contains 16 four inch blocks, made with a variety of greens and adding sparkle to the mix. Paper piecing the blocks was repetitive and relaxing – I really enjoyed the process. I had a hard time sending this one off to a swap partner! 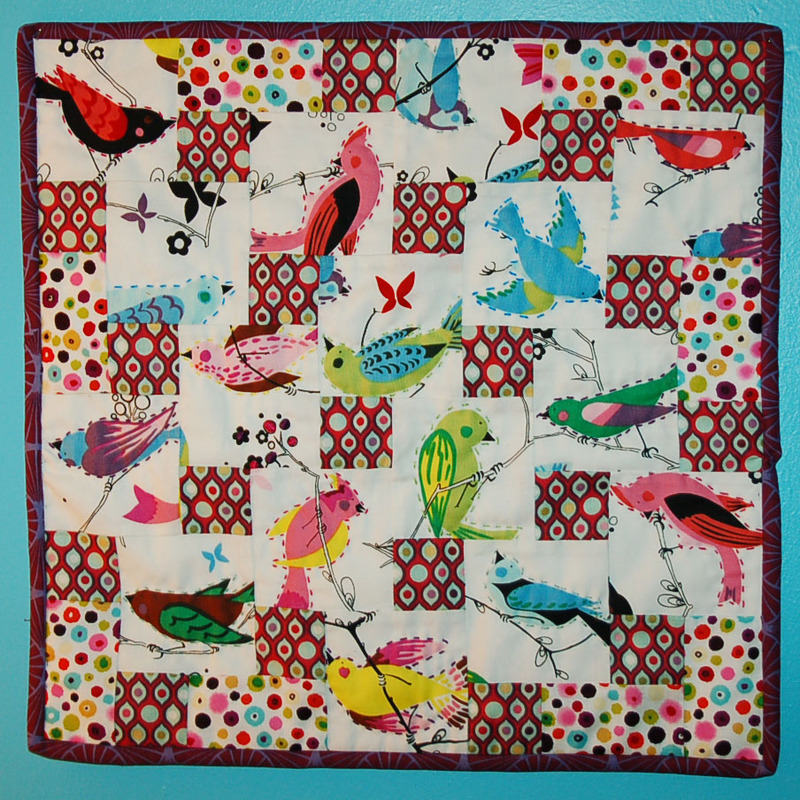 This mini measures 15″ square, I fussy cut each of the birds, then carefully sewed each square or rectangle in place. It is a step down lay out, where partial seams are needed to complete the quilt top. 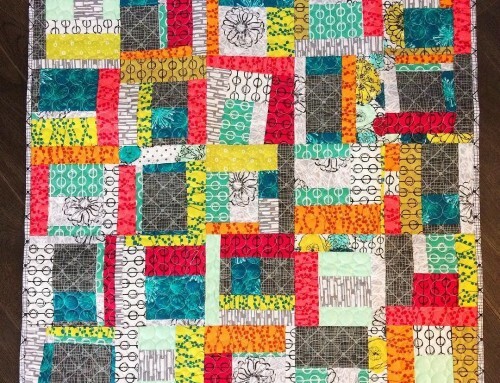 The pattern is found in Quilting from Little Things by Sarah Fielke. I also spent a pleasant evening hand quilting around each of the birds, which I have yet to take the time to do on a larger quilt! Weeks 3 & 4 – Sew. Sew. Sew! 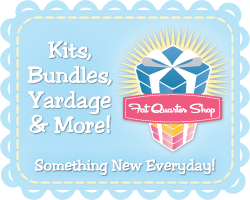 A BIG THANKS goes out to Kimberly at the fat quarter shop for generously sponsoring all the prizes. 2/11: sukie, don’t you know who i am? What cute minis! Working on minis makes it easier to try those more time consuming techniques like paper piecing or hand quilting. Thanks for the inspiration! Oh how lovely!!!!! Those AH birds are perfect :o) Thanks so much for all the fun!!!!! I love those minis Amy! The paper piecing is fabulous and the hand quilting around the birds is such a great touch. 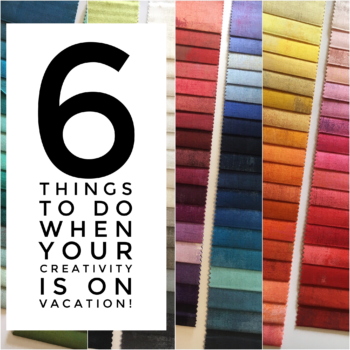 Thanks for the inspiration and for being a part of the blog hop! I think your minis are terrific. I love the triangles and the fussy-cut birds. Thank you for the inspiration. I just finished my first two mug rugs and LOVE making minis. I have a couple finished that I need to quilt. 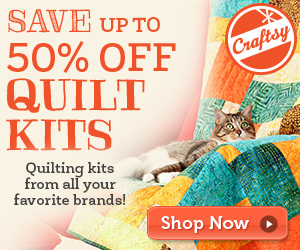 I’m just curious what is considered a mini quilt. Like what deminsions? love the way both of your quilts are completely different in style and color, but both are amazing in their own right! Definitely an inspiring post! thanks! Love both those minis, but those partial seams give me the heebie jeebies! 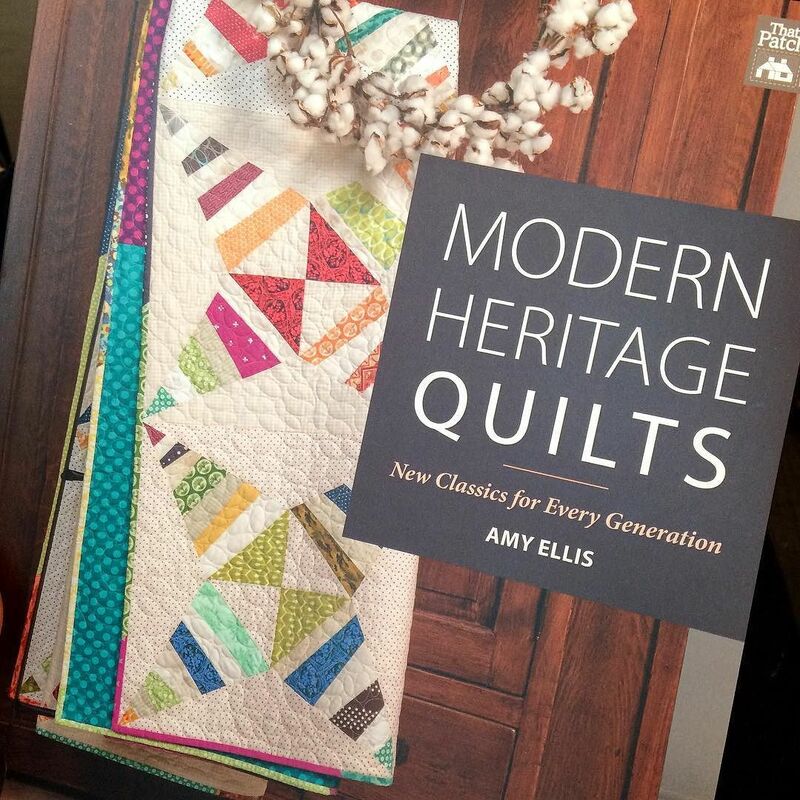 Beautiful mini-quilts! The birdie quilt is wonderful!!! 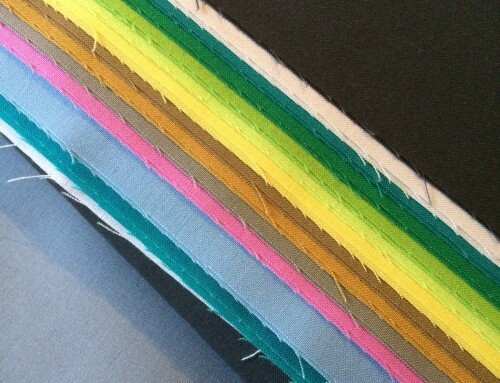 That second mini has fabrics that look SO MUCH LIKE the main fabric (a large scrap) I have already chosen for my mini. And posted about yesterday! It looks like it could be the same line. My scrap is left from making my kitchen curtain, which I have been staring at for at least a year and still love. Amy, these are great! 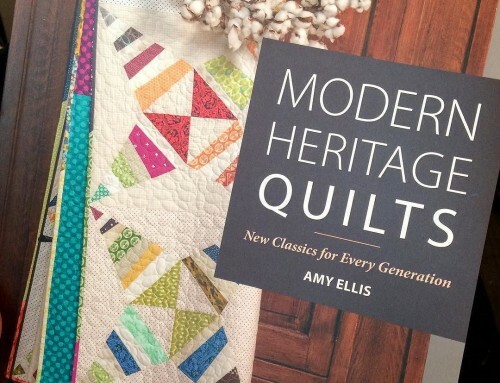 I especially love the geometric quilting in the first one! I love doing these challenges! My one thing is finishing my Tangled Garden quilt. It’s giving me issues, but I want ‘er done! Thanks for the motivation, Amy! Oh I love your minis – both are so visually striking and inspiring! Both of those mini’s are just superb! Love them both – thanks for sharing! I do love these two minis of yours, Amy! 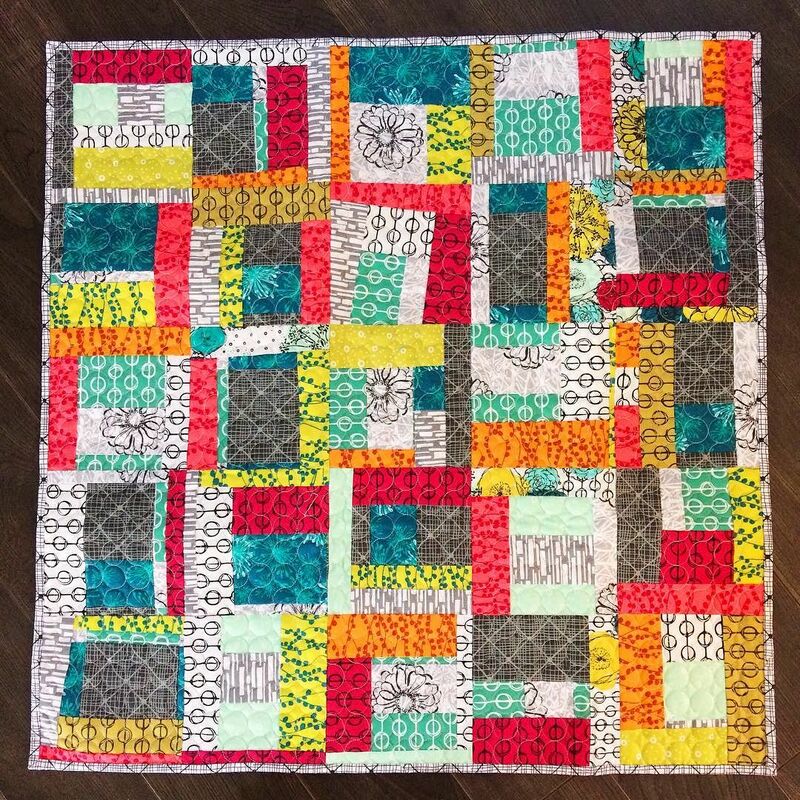 Your mini quilts are just gorgeous! I remember that top one from the swap – I really wanted it! 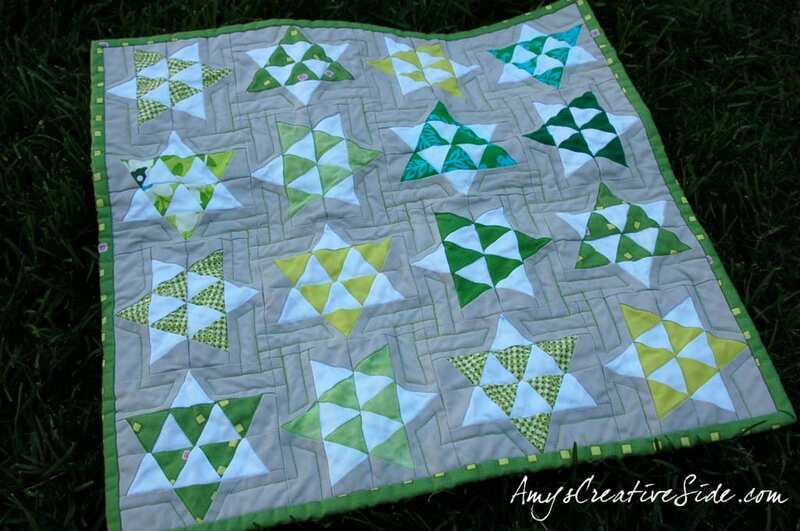 That green mini quilt is just too precious. Fantastic job on it!! I love those minis, specially the 16 four inch blocks. I’m on for the challenge. Thanks for sharing those lovely designs. 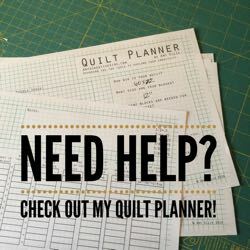 I love making mini quilts..they can be a challenge to think of a theme, but amazing when little works of art when finished..your work is always so beautiful! Great minis! Love them both! Great minis! Thanks for sharing.